How do I know what laws apply to my project? What if I want to construct a new home, addition, or new business? The Planning Board is an elected town board of five members, each with a five year term. The purpose of the Planning Board is to guide the development of the Town in the best interests of all its residents. The Board has very specific responsibilities and authorities as granted by Massachusetts General Laws and the Medfield Zoning By-Laws. The Planning Board is responsible for the review and approval of all subdivisions (the division of a tract of land into two or more lots) through a comprehensive process involving review by relevant regulatory agencies, public hearings, covenants with developers, performance bonding, and ongoing compliance monitoring. Under “Site Plan Approval”, in the Zoning By-Laws, the Board also has the responsibility to assure that prior to any new construction or significant changes to an existing structure, other than single family dwellings, such factors as community needs, abutters’ concerns, visual amenities, safety issues, and environmental and historic features on the site and in adjacent areas are considered. Any requests for Zoning By-Law changes or amendments are also reviewed by the Board. Public hearings are held to allow input from any abutters or other interested citizens. The Board is required to provide a recommendation on any Zoning By-Law amendment at Town Meeting, where a two-thirds vote is required to approve the change. The Planning Board serves as a resource to assist interested individuals with the process of proposing plans or projects under the Zoning By-Laws. Communications are maintained on an ongoing basis with related Town agencies including the Zoning Board of Appeals and other planning groups within the Town such as the Medfield State Hospital Master Planning Committee. 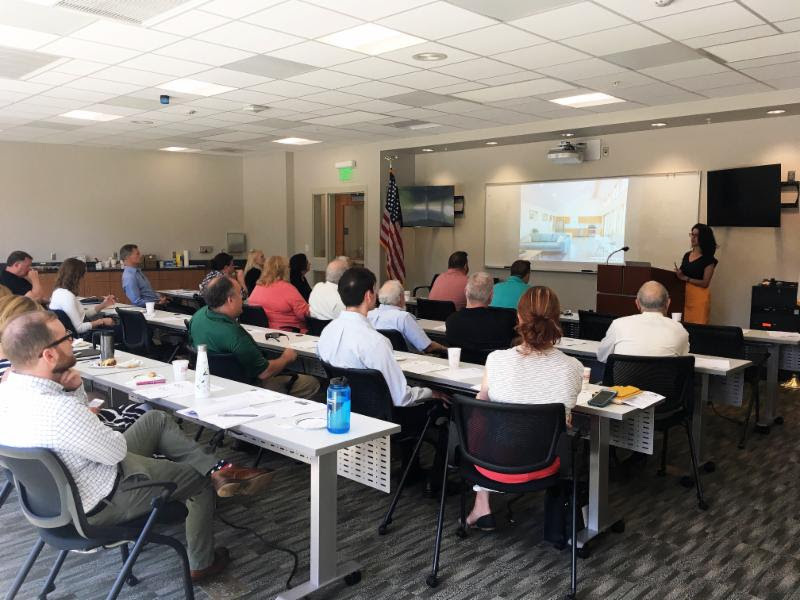 In June 2018, TRIC and SWAP met jointly in Medfield for conversation and a presentation by Francis Goyes, MAPC's Regional Housing and Land Use Planner, as part of the "Living Little" project, which investigates small housing typologies in the SWAP and TRIC subregions of the MAPC. The “Living Little” report was finalized on June 1, following working meetings with the town planners of Foxborough, Medfield, Medway, Sherborn, and Stoughton. The final report includes analysis and accompanying case studies of smaller housing alternatives, such as detached accessible dwelling units, cottage developments, “tiny houses,” and “tiny home” clusters, as well as assessment of barriers to this kind of development, such as infrastructure, regulation, and health codes. Click here for the Report and here for the Presentation.